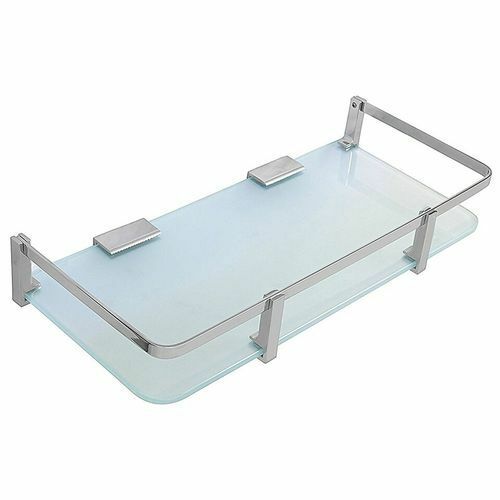 Decorate your bathroom by installing our premium range of front glass shelf. Brass material fittings will give good quality, strength and shine. Easy to install. Durable, convenient and unique design product. We, Krios Building Materials Private Limited from 2011 are engaged in manufacturing a high-quality range of Corner and Wall Shelves. Offered products range consists of Bathroom Corner Shelves, Wall Shelf, and Glass Corner Shelves. All offered products are designed using quality tested materials. The provided products are extensively appreciated amongst our customers for their durable finish standard, sturdy construction, long service life, easy to install and less maintenance.